Categories: The Beach, Bangles and Bracelets. 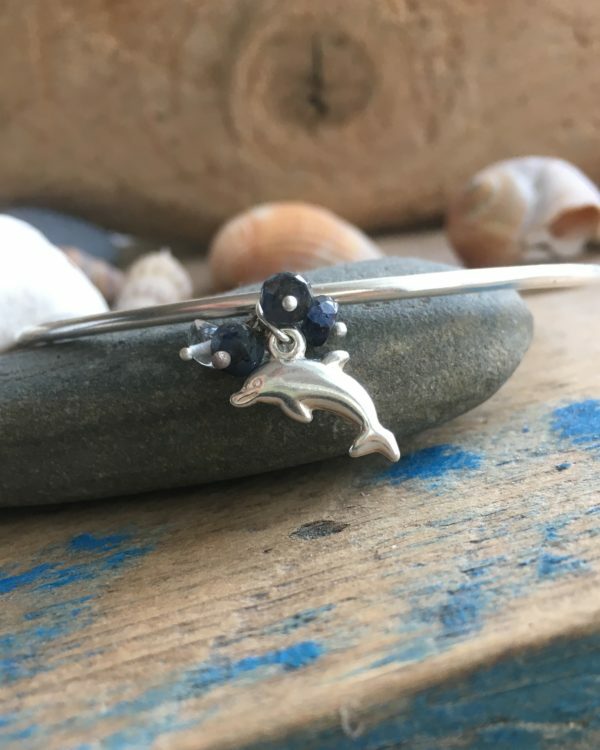 The Dolphin watching bangle is handmade from 2.5 mm recycled silver, using traditional techniques. It’s hammered flat to give it texture. Suspended from the bangle is a gorgeous sterling silver dolphin charm, in addition it has 3 deep blue sapphires and 2 crystal quartz. 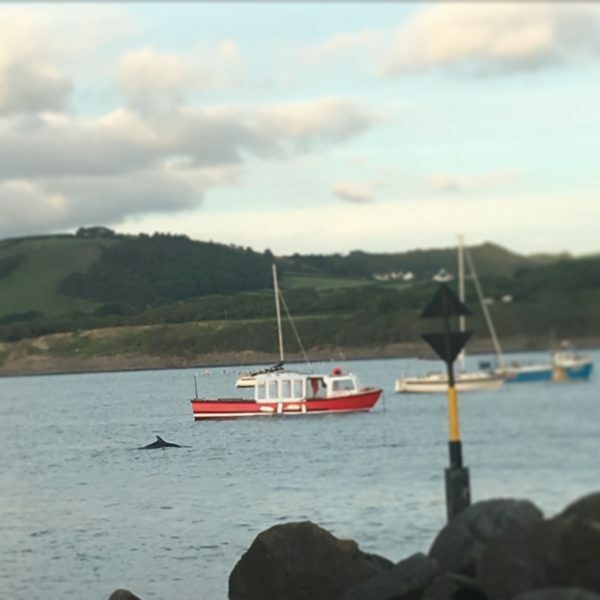 Have you ever been dolphin watching and witnessed that splash to let you know the dolphins are passing? 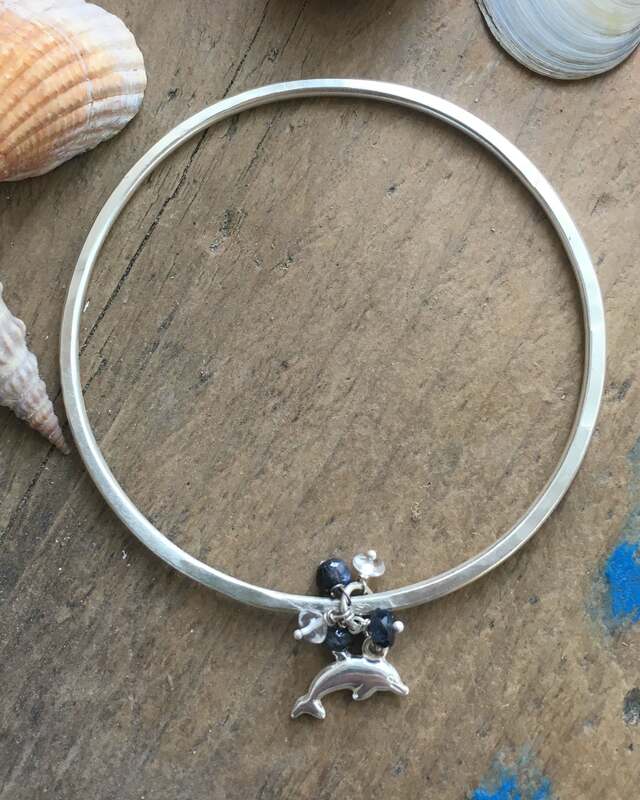 This bangle is a celebration of the dolphins in Cardigan bay. The sapphires and crystals representing the splash as the dolphin appears in the water. Bangles are made to order and are available in small (19-20cm circumference), medium (20-21cm circumference) or large (21-22cm circumference). Your bangle will be tissue wrapped in recycled tissue paper and delivered in your choice of a cotton drawstring bag or a recycled box. Your bangle will be hallmarked at the Edinburgh Assay Office. Because of this, please allow three to four weeks for delivery.